Approached by radical-political theatre company, Tribe Arts, Carbon was asked to consider how Tribe’s series of hybrid performance and discussion events might be enhanced by virtual reality or augmented reality. Drawing ideas and concepts from our broader Synthetic Realities research theme we proposed. Projected Realities – using projection mapping technologies to offer the audience a shared ‘augmented reality’ experience; with projected media driven by performer’s movements and actions. 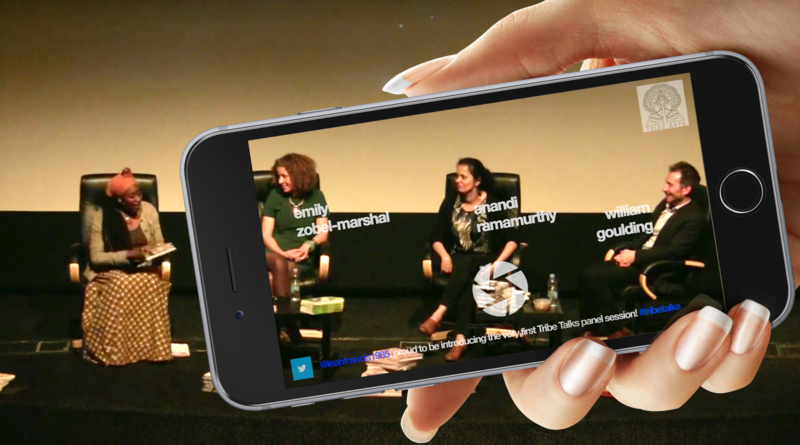 Augmented Discussions – using a smartphone camera to follow an on-stage panel discussion, enhanced with augmented media, such as speaker profiles and live social media reaction. This ‘augmented reality “lens” will also allow audiences to capture the moment, not just visually, but with accompanying augmentations attached to a photo for posterity.